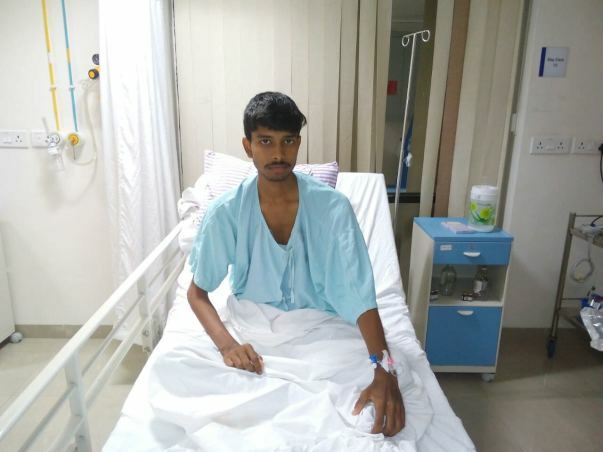 Two months back 27-year-old Debabrata was diagnosed with Germ cell tumours in his body and needs to urgently undergo four cycles of chemotherapy in order to treat the tumours and recover at the earliest. Debabrata used to work at a small provisions store as a helper, earning a meagre income to support his mother and himself. When he noticed that he had vomited, with stains of blood, he knew it was something serious. Upon consultation, a few scans revealed the lump like growth inside his chest. A biopsy brought back their worst nightmare. Debabrata had developed tumours that need immediate treatment. He has been advised to undergo chemotherapy urgently before his condition becomes more severe and risky. 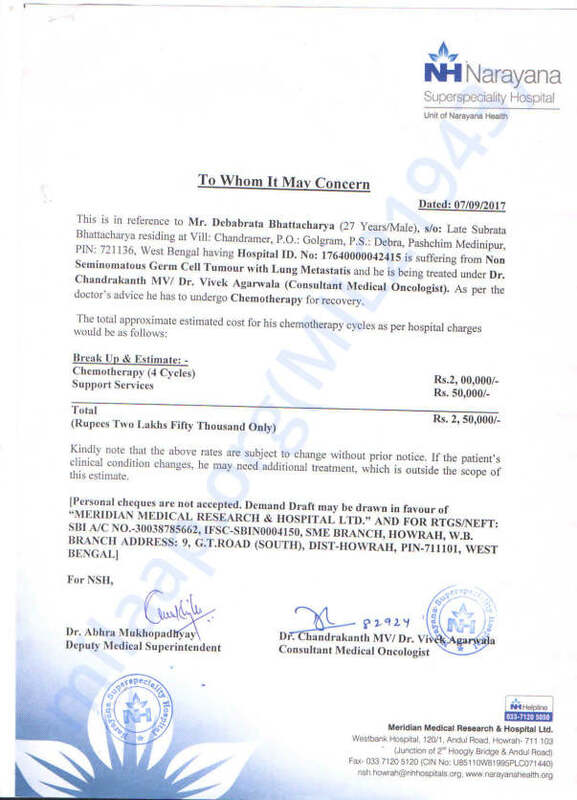 Unfortunately, Debabrata’s father had also been diagnosed with Blood Cancer. Due to a dire lack of funds, however, the family could not afford treatment. They had to helplessly watch a member of their family die a slow, painful death. Now, Debabrata is all his mother has. All panic struck when Debebrata noticed the blood stains. Debabrata’s mother Nirupama is completely broken now. With no means to save her only son, the widowed mother is now forced begging for alms on the streets to continue his treatment. With some support from her neighbours and distant relatives, she has obtained the diagnosis and provided him with medical care so far. However, she has no way to arrange for the funds needed for chemotherapy. 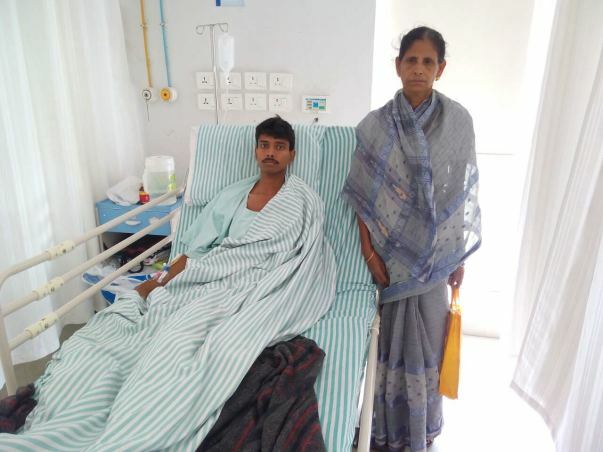 Debabrata's mother needs our help to raise funds for his treatment. Please donate to let Debabrata receive the medication he deserves. 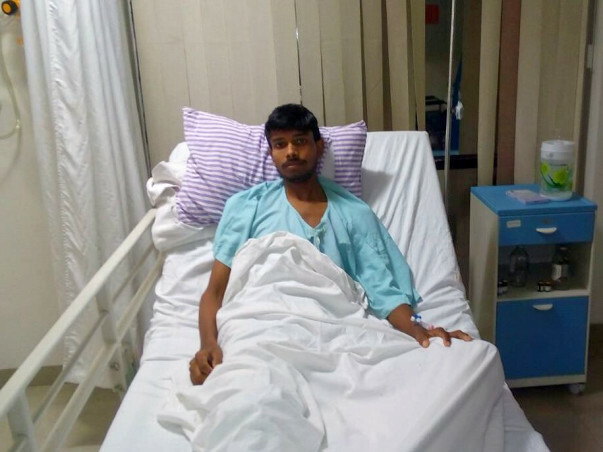 Debabrata had to undergo a cardiothoracic surgery but after a follow up with the doctors, the doctors say that he will not be needing it as he is doing extremely well. His treatment is still ongoing. He has started working as well, since he is in a much better condition right now. His health is also good. Thank you all for making this happen! We are all very grateful. Thank you for all the support. Here is an update on Debabrata's health. Debabrata is doing better, he has completed his first stage of treatment. He visited the hospital for the follow-up and doctors have found out there are still three tumours in his lungs which requires urgent treatment. The treatment has already begun and so far he is responding well to the treatment. We are grateful to all of you who came and helped us in the time of need. Please pray for his health and speedy recovery. Here is a quick update on Debabrata. Currently, Debabrata is in the hospital and has undergone three chemotherapy cycles. He has vomiting and difficulty in eating as the side effect of chemotherapy. The doctors will conduct the CT scan after completing the fourth chemotherapy cycle to decide upon the future course of treatment. Pray for Debabrata's speedy recovery & mental peace for his mother.